Free Card Kit when you purchase the January SOM S1801 Bloom and Grow for $5.00 with a $50.00 purchase. I have an album of art up in the FB group. – Check it out. Even if you join my team on my downline, when you purchase the SOM each month for $5.00, you can get these kits free. Happy Mail Club: With online orders over $25.00 of product, you will receive workshop guides (see the FB Group for the album – I just loaded more workshops) and more. Check it out. Thanks for stopping by to checkout my creative world. This is the last day to take advantage of these awesome letters. If you need some creative help, I’m here to help you out – give me a call or email me: info@lindacreates.com!! This card can be used to celebrate anywhere that you see love growing. Using the Whimsy Fundamental Paper Pack(retired), White Shimmer Paper, Memento Black Ink and a Shin Touch Marker Sap Green, you can create this card. The Whimsy Paper Pack will make it easy to to switch color combinations around to match weddings, baby showers, engagements, any event where love is growing. Cut 1″ off the front right side of the card. Place your striped paper (5.5″ x 2″) on the left side of the card with a 5.5″ x 1/2″ strip of the white glitter paper. There should be a white edge of the card about .75″ to the cut part. On the inside of the card, mount the polka dot paper (5.5″ x 1.5″) on the right side. This shows through because you’ve trimmed off the 1″ from the top of the card. Stamp the “Good Seed Co” on a one of the watercolor background papers. Stamp “Let Love Grow” in the center. Color in the leaves with the Sap Green marker and mount on the Sweet Leaf card stock. Mount this so that it’s over hangs the cut off part of the card. It’s centered. Add a few bitty sparkles through out the sentiment piece to add a little bling. Simple and fun. The January Stamp of the Month S1801 Bloom and Grown is awesome!! When you purchase it for $5.00 with a $50.00 purchase, you’ll not only get Happy Mail, you’ll get this FREE card kit. It’s all cut and ready to stamp to get your creating going. =) The guide will be emailed to you to create the cards. Thanks for stopping by to checkout my creative world. Enjoy creating this “Let Love Grow” card. If you need some creative help, I’m here to help you out – give me a call or email me: info@lindacreates.com!! 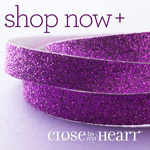 Sale prices are only available on orders placed on my Consultant website, while supplies last. The sale features current products, and we have a limited number of these items set aside for the sale. It’s likely that we will sell through this designated amount for several of the items in the sale, and once we do, that item will no longer be available, so shop early! However, any items that sell out during the sale will return to availability at normal price once the sale has ended. Set a reminder on your calendar for tomorrow at 3:00pm MST/5:00pm EST. Last time, items sold out quickly!! Seasonal Expressons 1 2018 FREE with your order! Now that Seasonal Expressions 1 is officially live to everyone, when you place an order on my shopping website , it will automatically have a free copy of the new Seasonal Expressions 1 idea book added to your order if you have not already gotten one. There is a limit of one free copy of this idea book for each customer or Consultant, so those who already received a free copy will not have one added to their order. You will be able to confirm that the free copy has been added by checking the receipt for the order after it has been submitted. Thanks for stopping by to checkout my creative world. Set your alarm and get ready for the flash sale! I can’t wait to see what’s on sale myself. Run into trouble? I’m here to help you out – give me a call or email me: info@lindacreates.com!! Take your basic card base – 4.25 X 5.5. Score the top of the card at 2 1/8″ and make a mountain fold. Cut Lagoon cardstock piece at 1 7/8″ x 4.25″; Cut the Lagoon watercolor rose pattern paper at 1 5/8″ x 4.25″. Adhere to the bottom of the front of the card. Put a piece of the Lagoon ribbon in the center. You can wrap around and tie off or cut a length about 6 1/4″ and glue dot on the backside of the front. Glue dot on either side where you want the tie. You should have a piece sticking up. Cut and tie off. Cut another Lagoon cardstock piece 3 1/4″ x 4 1/4″ and a White Daisy piece at 3″x 4″. Stamp sentiment in lagoon in the center. Assemble. Attach on bottom part of the card only, about 1/2″ from the left side of the card. If you tape to the top part of the fold, the card will not fold. Make easel button with 1″ and 1/2″ circles and use Enamel and Glitter Duos in the center. 3D Foam Tape it up so that it will hold the fold up. Thanks for stopping by to checkout my creative world. Stay warm and get try to bloom where you are! For National Papercrafting Month, we’ve designed a set of beautiful papercrafted monograms décor pieces. Each comes as part of a kit containing the sturdy chipboard letter base, rose gold accents, die-cut floral embellishments, and letter stickers for customizing your final artwork piece. The finished letters are the perfect size for adorning any wall in your home. Make a monogram art piece, or spell out a whole word! Absolutely beautiful. Might be my favorite cover in 17 years. It’s loaded with amazing new paper packs, stamps, embellishments, and more. Check it out online here! In January, CTMH is having a new customer contest for consultants! Help me win one of these beautiful shirts by sharing me with your crafty friends, family, co-workers, neighbors, ect!! A customer will be considered a new customer if they have never placed an order with me and place an order with me for one of the Love Letters in January 2018, or if they have not made a purchase from Close To My Heart in the past two years and place an order with me for one of the Love Letters in January 2018. Purchasing a Love Letter kit is key to them counting. What’s in it for you? When you refer a new to me friend, who places an order for a Love Letter, you will get a free Card Kit or Layout Kit (my choice). Check out the FB group for my customers only (no consultants please), for more fun! Everyone placing orders will be participating in the Happy Mail Club so you and your referral wins too! Free Card Kit when you purchase the January SOM for $5.00 with a $50.00 purchase – Check it out. Love Letters – Buy 5 Get 1 Free. Thanks for stopping by to checkout my creative world. Embrace 2018 – it’s here whether we are ready or not. Create beautiful things today!